Vague Insights...: India Wake Up!!!!!! Before China Wakes Us Bolt-Upright!!!!!!!! India Wake Up!!!!!! Before China Wakes Us Bolt-Upright!!!!!!!! 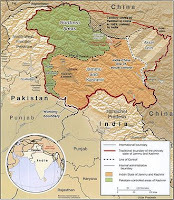 Unable to reach political negotiation on disputed territory along the 3,225km long Himalayan border (The Mc Mahon Line and the south of Karakoram Pass), the Chinese attacked India. September 1962 witnessed India’s major political drawback in handling the warfare in its useless “lullaby way”. 9 divisions of army were deployed along the Himalayan Borders. None of them were up to its full troop strength, and all were short of tanks, equipment, artillery, and even adequate and proper clothing and snow glasses. The defending Indian forces were easily ejected from their posts in the area of the Karakoram Pass, from most posts near Pangong Lake, in Assam and Leh, the Chinese forces advanced easily despite efforts at resistance. 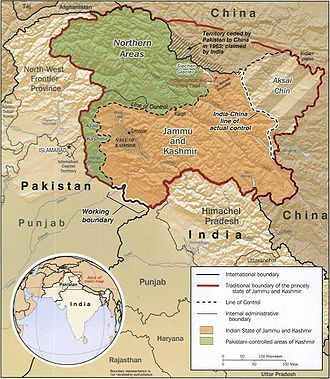 Chinese were set aback in Ladakh and had to retreat from NEFA (North East Frontier Agency) due to Indian Defence. It was not until November 21st did China declare a Unilateral Cease Fire. . By then, they had accomplished all of the land that they had planned, and any attempt to press farther into the plains of Assam would have strained their logistical capabilities and their lines of communication to a breaking point. The fighting war was over, but a new diplomatic war had begun with Politics-Media Show off ensemble. Now that China is again working Smart on military Plans against India, it DENIES “ANY” threat to India “JUST” by reassembling huge transport, plans to bring its rail link right up to Nyangtri ( Nyangtri and Nyingchi includes some parts of Arunachal Pradesh), proposals of 6 big dams(including proposal for world’s largest dam) in the region of Brahmaputra (conspired that a dam may also come up in Great bend, where the river takes a decisive turn and flows towards India)and more majorly, parachute exercise in Tibet to enhance and demonstrate its military ability in its eastern region. Despite India’s arms purchases from the great powers and military penetration of neighbouring countries, it remains extremely unlikely that India will rule out conflict with China. India’s pressing missions are to contain Pakistan and fight terrorism. Meanwhile, the Big Brother of the world, US, keeps questionably mum on activities of China and presence of Chinese suspicious military support to Pakistan. Sino-Indian dialogue and negotiation mechanisms are still operating. For a considerable future, therefore, while a "cold war of attrition" between the two countries is increasingly likely, a declared war is out of the question.